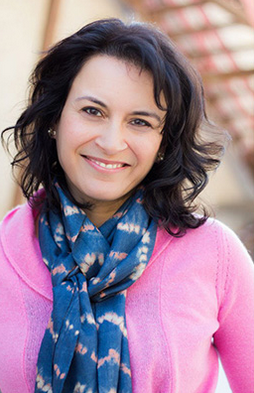 Sujata Massey is the author of the Rei Shimura mystery series, which includes her latest book, The Kizuna Coast. Having worked with traditional publishers and self-published several of her books, Massey has great advice for indie authors on independent publishing, book marketing and strategies for getting a book into bookstores, libraries and reviews. 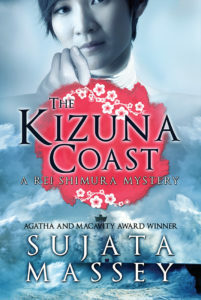 You have a new book out, The Kizuna Coast, part of your Rei Shimura mystery series. Tell us about the book and the series of which it’s a part. The Kizuna Coast is the 11th mystery in a series featuring Rei Shimura, a young Japanese-American woman who solves mysteries that delve into Asian cultural traditions. In this book, Rei is jolted out of her pleasant life in Hawaii with news of the 2011 tsunami in Japan. An elderly friend has gone missing in the Tohoku area where almost 16,000 people were swept away. Rei’s journey becomes murkier and more mysterious by the chapter. You’ve published more than a dozen books, many of them award winners, since 1997. How did you break into publishing, and what was the biggest challenge you overcame to do so? I spent four years writing and refining The Salaryman’s Wife, the very first mystery that introduces Rei Shimura. The stumbling block I feared most was whether I could ever convince an agent to read the manuscript. As a baby step toward the publishing process, I submitted the first section to a contest for traditional mystery authors run by the Malice Domestic organization. When I won, agents were attracted to reading the whole manuscript. My agent sold The Salaryman’s Wife in six weeks to HarperCollins Publishers. I felt my efforts at rewriting, and the little boost of validation from the contest, were key parts of making the sale. What is your creative process like? How do you go about writing and organizing your books? And how is sculpting the arc of a book different when it’s part of a larger series? When the wisp of an idea enters my brain, l talk it over with my husband or a writer friend, so I don’t forget the concept and can brainstorm a little further. I start seriously thinking about a new book idea when I’m in the final stages of another project. It’s useful for me to write a synopsis of the book and outline what each chapter will accomplish. There’s a very good idea on how to organize thoughts to move forward in a little e-book called From 2000 to 10000 by Rachel Aaron, which I reread when I’m feeling blocked. I don’t brood on about the arc of a series…to me it feels kind of like putting the cart before the horse. My goal is to write a complete, enjoyable story in each book. If that book produces characters whom readers care about and want to see again, it’s all the better. How many of your books were published traditionally versus self-published, did one type of publishing lead to the other, and how was the publishing experience different in both cases? I have 10 traditionally published mystery novels and one traditionally published historical novel, The Sleeping Dictionary, set in British colonial India. I’ve independently published a historical novella, The Ayah’s Tale, and The Kizuna Coast. I plan to independently publish a collection of new stories set in India and also create new paperback versions of three traditionally published Rei Shimura novels that have gone out of print. There are so many projects I could put together. I wish I had a writing twin to help me get it all done. The publishing experience between traditional and self-publishing is most different in terms of workload. The traditionally published writer usually gets a cash advance and can spend more time creatively writing than thinking about marketing and book design and copy-editing. To independently publish means finding professionals to help you with whatever you can’t do like a professional. For me, this means hiring a developmental and copy editor, an artist, and a book formatter. I’m able to retain creative control and interact closely with those professionals, though; and this has resulted in a really good-looking book. To format this book, you worked with a consultant who used Pressbooks. What did you like about the layout and/or the tools/capabilities that this afforded? We started out by formatting The Kizuna Coast as an epub, which was easy to shoot into paper form using Pressbooks technology. My consultant, Sue Trowbridge of Interbridge, showed me a variety of fonts and layouts for the book. We used a very classic font and layout called Christie. I’ve found Pressbooks are actually easier on the eye: because with the slightly larger page dimension, the type is slightly less cramped than in a typical trade paperback. Booksellers and customers have been very happy with the look and feel of The Kizuna Coast, which we produced in both trade paper and hardcover through both Ingramspark and Create Space. You publish your books in a variety of bookstores and ebookstores. What has been the most lucrative of these distribution channels for you? Amazon is 42 percent of the US book market now, and my percentage of sales through Amazon is likely 80 percent. However, I’ve been pleasantly surprised at the number of paper books that have sold. I think paper is coming back as a preferred format for serious readers and never stopped being important to libraries. I just received the ultimate compliment when I saw the paper version of The Kizuna Coast featured as one of the top recommended new books for Baltimore City’s Enoch Pratt Library system’s website. The book also was purchased by the Baltimore County library system. Any tips for indie authors? I’d suggest creating paper advance reader copies (ARCs) for your book just like traditional publishers do. These bound, uncorrected proofs come out several months before you release the book for sale. ARCs should be sent to someone in your public library system, to media such as Publishers Weekly and Booklist, and certain other media who are likely to review the kind of book you’ve written. Include press release along with the book, with a public relations contact person’s name on it (whoever is helping you out!). You can also send ARCs to bloggers or podcasters who might host you on the air, talking about your book. Getting coverage is quite difficult. It involves thoughtful marketing research and the understanding that most efforts will not result in reviews, but the reviews you get are nice to add to the front or back of your print book. It’s even more important to have readers leave online reviews at e-tailers and sites such as GoodReads. To the potential book buyer, these short recommendations carry as much weight with potential buyers as establishment media reviews. Indie authors often have trouble getting bookstore signings. I don’t break my back getting signings, but I’ve had several events around the release of The Kizuna Coast. Here’s how to do it:. If you are a new author, politely ask a local independent bookseller whom you regularly patronize if they would consider hosting a book launch party. If you are an established author, you could cast your net a bit farther if there are out-of-state booksellers who’ve carried your past books. Be sure to give them an ARC so they can understand that you are offering a well-written, good-looking book that is on par with their usual offerings. If your book that can be ordered and returned through their typical distributor, they will be more likely to want to hold a book-signing. Once they’ve agreed, you must promote news of the event yourself to all your friends, relatives, and others who might be interested. You can inspire out-of-town friends to mail-order books from the bookseller, which you’ll sign at the event. A good author is a bookseller’s partner, not a drop-in visitor. The more you help the bookseller, the more s/he will support you.